With high confidence I can say that, exactly one year ago from this very minute, somebody on the boat was puking. 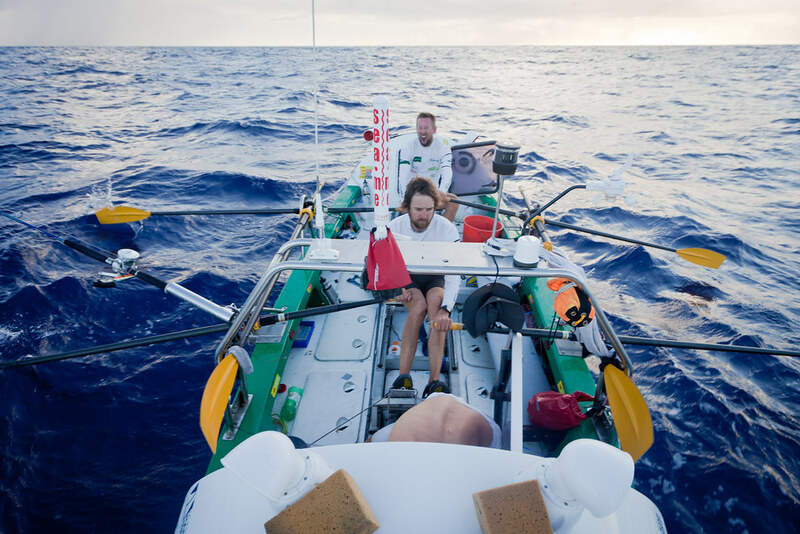 We were less than 24 hours into our attempt to row across the Atlantic Ocean. We were all seasick. The boat was leaking. Badly. The food was disgusting. The wind was strong and the waves were high. Two of the blokes on board I had never even met until I arrived in the Canary Isles. Without any fear of exaggeration, I can say that I have rarely been more miserable in all my life. Alastair, thanks… I am not sure you published this version of the video. Great storytelling. Glad you managed to keep out the sea sickness part. As with all good fishing stories, the heroics, no matter how mundane, are better to tell about in the long run.